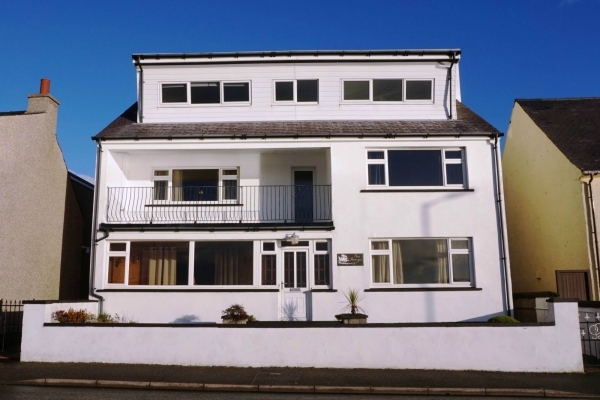 Accommodation is presented in immaculate decorative order and is bright and airy throughout with a newly fitted kitchen, large lounge, two bedrooms and a family bathroom. The property benefits from solid oak wood doors and finishing’s, wood effect uPVC double glazing and oil central heating throughout. There is a multi-fuel burner in the lounge. To the rear there is well maintained garden ground with a raised patio, a timber garden shed with mains electric and a drying area and to the front/side there is a driveway with private off road parking for two vehicles. The local hospital and picturesque castle grounds are nearby with the town centre just a short drive away with all amenities and services including shops and supermarkets, education, healthcare, sports centre, art centre and transport links.